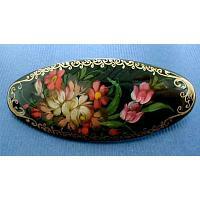 The hair clasp displays a miniature painting of a floral design. 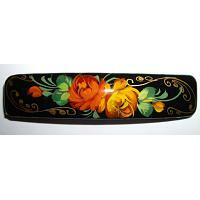 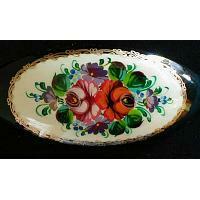 Handmade and hand painted by Russian artisans. 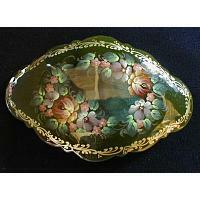 Coated with several layers of crystal clear lacquer to protect the painting. 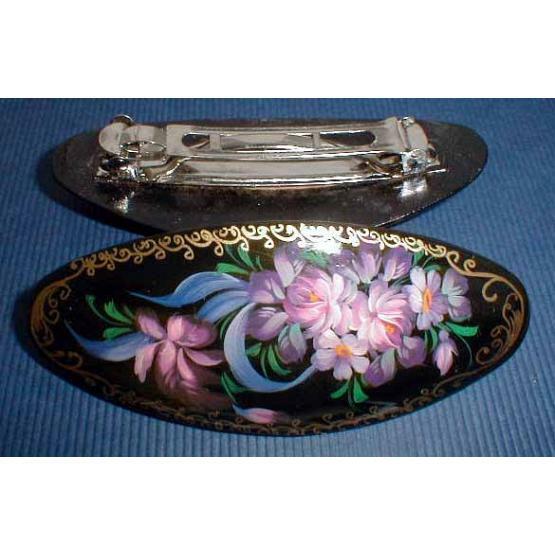 Shape and painting may vary, as each barrette is hand made and hand painted, being truly one-of-a-kind. 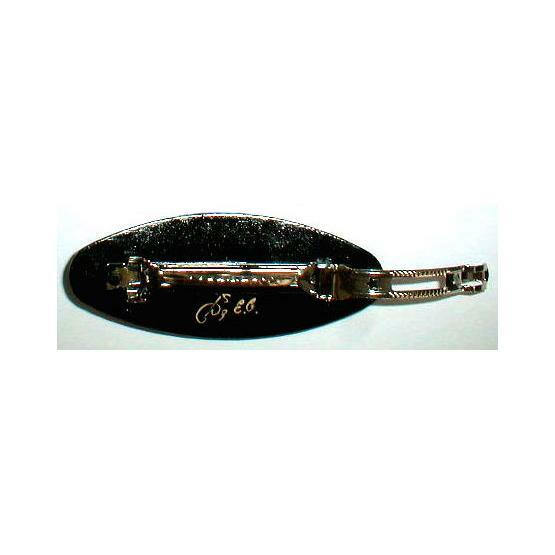 Perfect tiny gift from Moscow, Russia.